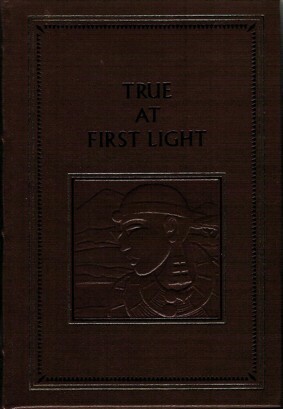 True at First Light is a work by American novelist Ernest Hemingway released posthumously in 1999. It is designated a “fictional memoir” and describes a journey to Africa. It was edited by Patrick Hemingway who accompanied his father. A “fictional memoir”? Huh? What’s the point of a fictional memoir? In Africa a thing is true at first light and a lie by noon and you have no more respect for it than for the lovely weed-fringed lake you see across the sun-baked salt plain. You have walked that plain in the morning and you know that no such lake is there. But now it is there absolutely true, beautiful and believable. Okay. So this book is like a mirage? It’s not really there? It didn’t really happen?